CFRE International offers the only internationally-recognized baseline professional credential for philanthropic fundraising executives. CFRE certification serves as an impartial, third-party endorsement of an fundraiser's knowledge and experience against international standards in philanthropy. The CFRE process requires a comprehensive written application followed by a written exam. 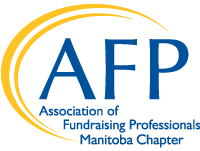 Individuals interested in the CFRE designation must have a least five years of paid, professional practice in fundraising, meet all of the minimum eligibility requirements, and pass the written exam.